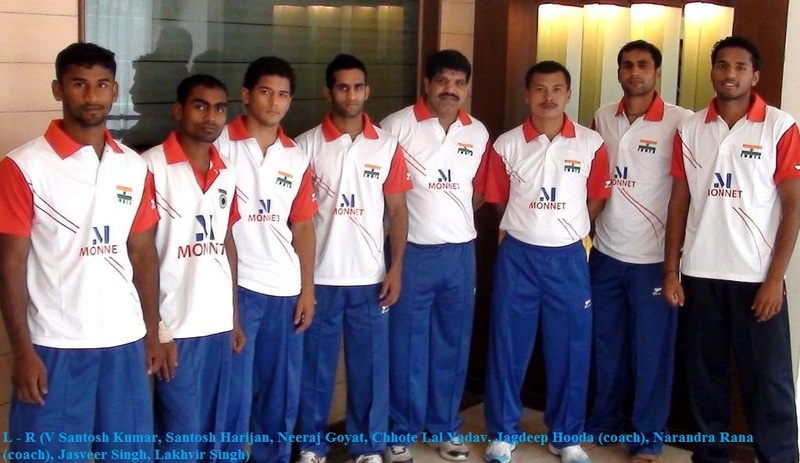 Seven Indian pugilists will depart for Jakarta, Indonesia tonight from the capital city of Delhi to compete in the 21st President’s Cup International Boxing Tournament to be held from 2nd – 9th Jul, 2011. The tournament that was scrapped in 2004, will witness over 200 boxers from around 30 countries vying for top honours this year. The tournament, revived after a seven year break, will serve as a tune-up for the first qualifying event for the 2012 London Olympics, the AIBA World Championships at the Heydar Aliyev Sports and Exhibition Complex in Baku, Azerbaijan from Sept. 25-Oct. 8. An upbeat team seemed confident of a good showing at the event while exchanging a few last practice punches at the Karnail Singh Stadium before leaving for Indonesia tonight. In sync with the team hopes coach Jagdeep Hooda said, “Our boxers have worked hard on the preparations and I am pretty confident of a positive performance”. He further added, “Competitions like these have proven to be a bench mark for boxers to prove their mettle. Indian pugilists have been faring well against top boxing nations over the past few years, a brilliant sign for the sport which is at a constant rise in the country”. Asian Games silver medallist and reigning national champion in the Light Welter Weight category V Santosh Kumar would be spear heading the Indian challenge along with his SSCB counterpart Chhote Lal Yadav in the bantam weight category. Both the boxers will be making their first appearance in an international competition after the 2010 Guangzhou Asian Games. Kumar who won a silver medal at the Asian games expressed, “We have had a long break from competition but I have undergone a very intensive training schedule this year. A good performance in Indonesia will certainly bode well for my chances to get selected for the world championships. 2010 SAF games gold medallist Chhote Lal Yadav is also taking this event as an opportunity to book a berth in the world championship squad, with London Olympics being his main goal, “I have just one aim and that is to qualify for the Olympics and do well at the biggest sporting arena in the world”. Accompanying Kumar and Yadav would be Santosh Harijan in the fly weight category. Santosh who already has two bronze medals to his name this year – one at international tourney in Kazakhstan and the other in Cuba – is looking to grab the yellow this time around.